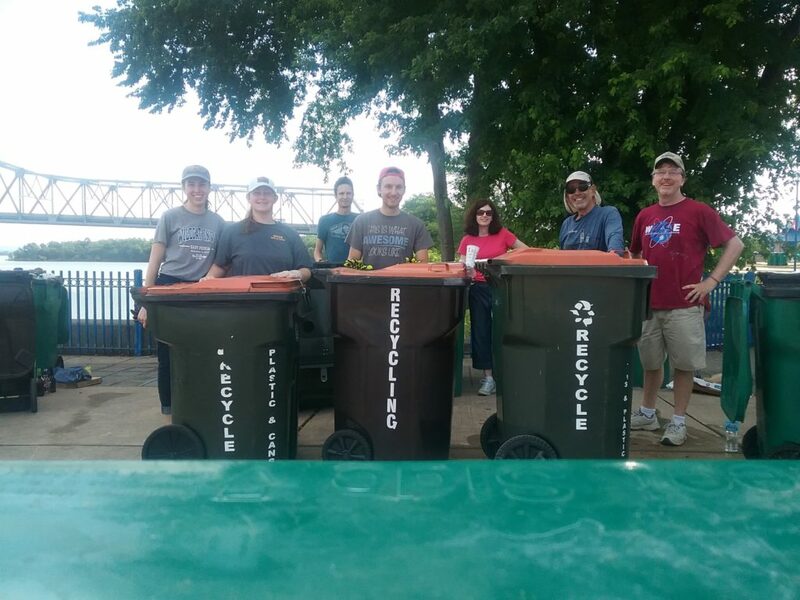 East Peoria Green members, with the help of EPCHS Hope Club and ICC SAFE Club take a break from working to clean up the riverfront the day after the 4th of July. Our groups sorted garbage from recyclable items on the morning of the 5th. From left to right there was Elena, Lexi, Dan, Robert Lori, Bob, and Tom. It took a little over 3 hours to get everything sorted out. East Peoria Public Works waited for us to finish before sending the garbage and recycling trucks to pick up the toters. Thank you to all the celebraters that tried to put recyclables and garbage into the correct containers. Next year we will try to have a recycling toter next to each garbage toter.